Advertising and marketing of the Property. Rightmove, Zoopla and Prime locations property portals. Referencing of prospective tenants via the services of a recognised credit-referencing agency to ascertain applicants’ suitability. Ensure that the landlord and tenant sign an appropriate tenancy agreement. Collect and transfer the initial rent (minus any fees) and deposit into the landlord’s nominated bank account. No deposits will be held by the agency, landlord must take compulsory steps to holding the deposit. We keep deposit money safe for letting agents, landlords and tenants. Our free Custodial scheme is fast and efficient, and we also provide a competitively-priced Insured scheme. 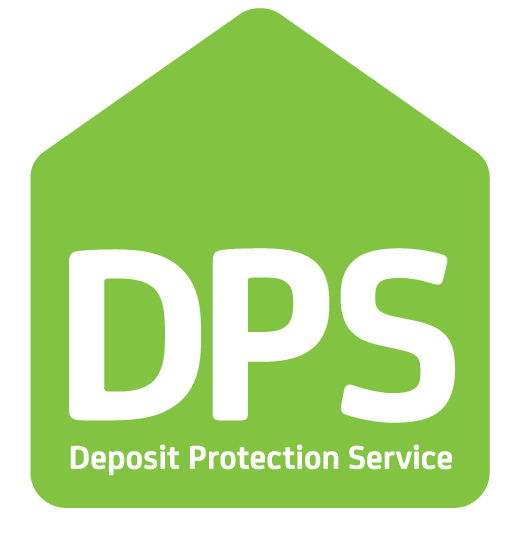 With over ten years’ experience of protecting tenancy deposits, we're the home of deposit protection. We’ve been providing free Custodial deposit protection since April 2007 and Insured deposit protection since 2012. Our sales service only ends when we hand the keys over to the new home owner. Applying for a property - Once you have viewed the property and have applied using our full application form, we will speak to the landlord on your behalf, running through your offer. If you are then accepted (subject to referencing) there will be application fees payable before we can carry out any references and credit checks. Once this is paid we will instruct our referencing team, Lettings Hub to email you their application forms. In order for the referencing to start, you will have to fill in the online application form with Lettings Hub to the best of your knowledge. You will need 3 years’ worth of previous addresses, your current/previous landlord details and your employers’ details. To pass the referencing, your income will need to be at least 30 times the monthly rent. If this isn’t the case, you will need a guarantor upon the landlords’ request and advisement. Unfortunately, any bad credit such as CCJ’s, IVAs and bankruptcies which have not been discussed previously (and accepted on the landlords’ discretion) will result in your referencing coming back as failed. It is then up to the landlord whether they would like to continue with the let. Guarantors will need to be UK residents and will need to be earning at least 36 times the monthly rent. Your guarantor will also be fully referenced and credit checked. All ongoing rent payments will be payable via standing order. Deposit will usually be one months rent + £100 unless the landlord specifies different. Application Fee – Payable by a Tenant upon an application being accepted by the Landlord, at which time the referencing and contract preparation will commence. The fees are: £200.00 for a single Tenant, £250.00 for up to two Tenants and an additional £30.00 per Tenant (over 18 only) thereafter (all fees are VAT Exempt). The application fee is NON-REFUNDABLE, this will come into effect if the referencing criteria is not met or you decide you no longer wish to proceed with the application after referencing has commenced. The application fee covers the cost of Tenant referencing, contract preparation and all associated administration duties. Pet Deposit – this is not a fee, this is added to your deposit which will be returned to you subject to dilapidations at the end of the tenancy. £100 per pet (no added VAT).